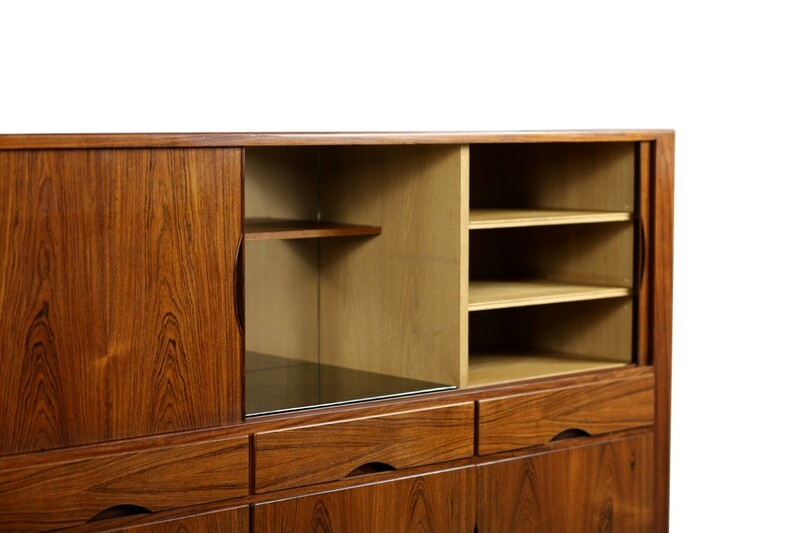 Beautiful and in an amazing condition very rare Johannes Andersen Highboard Mod HB20 for Hans Bech, Denmark. 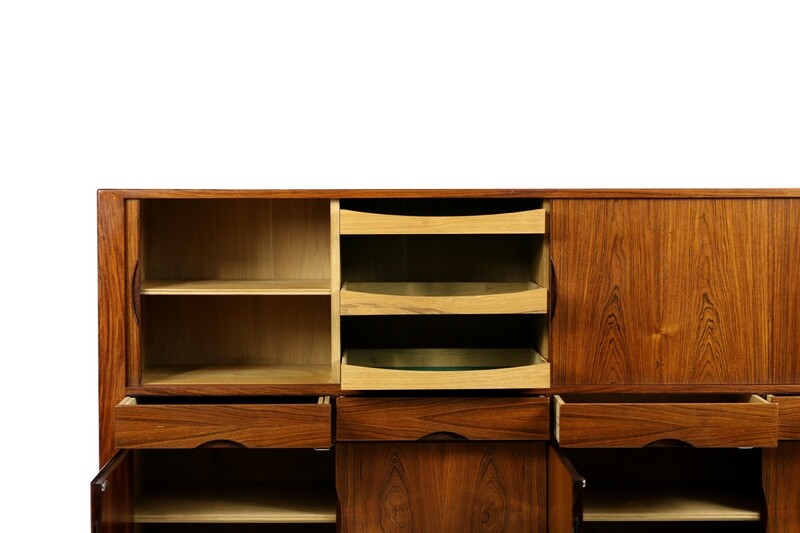 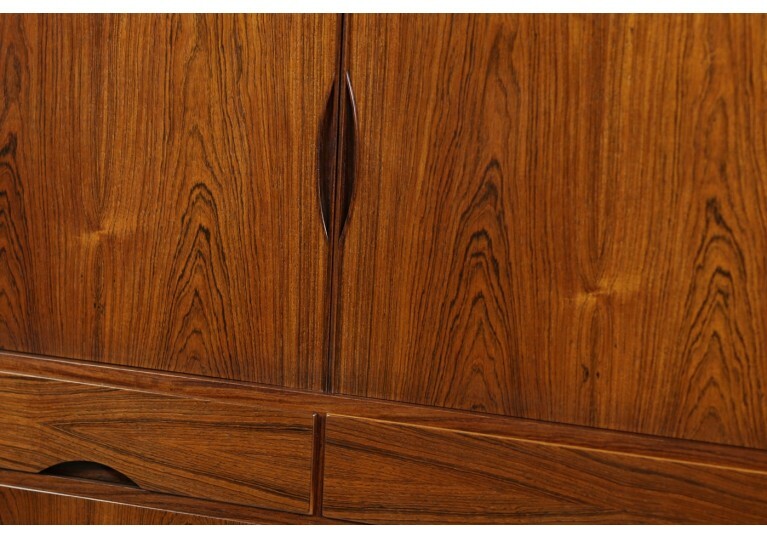 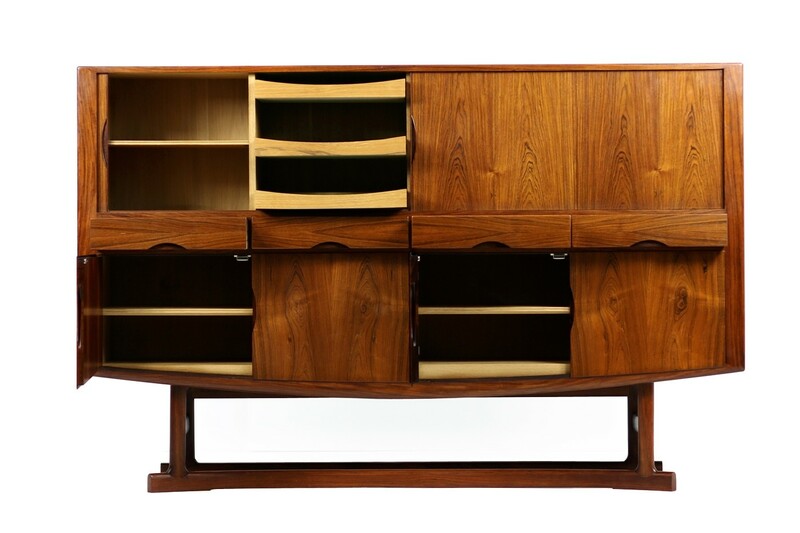 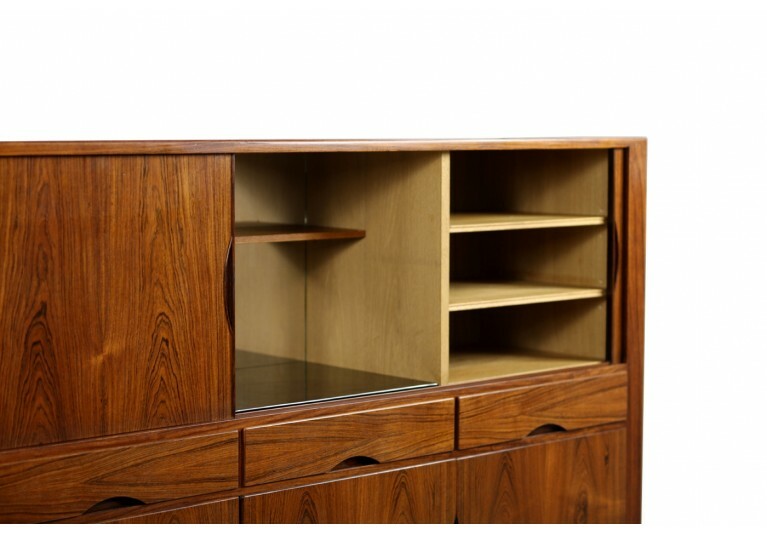 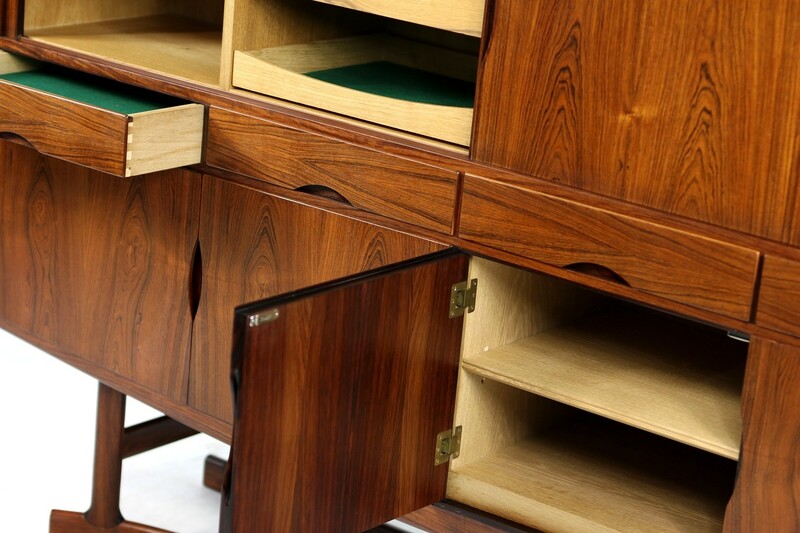 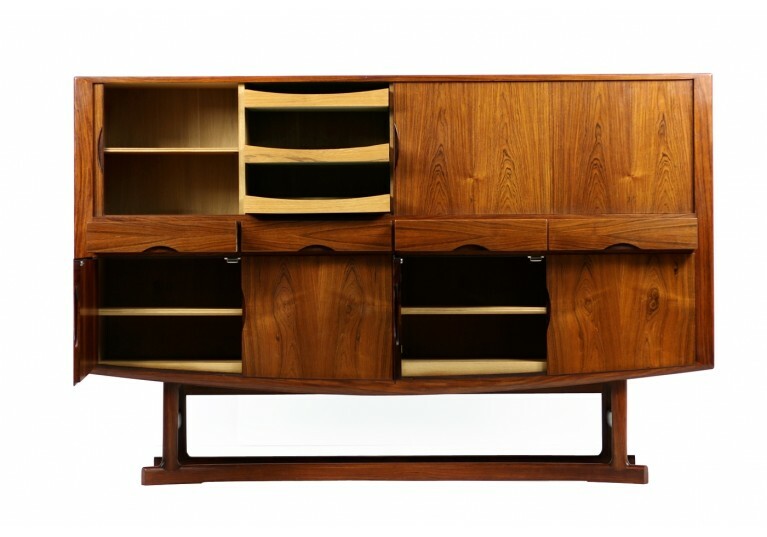 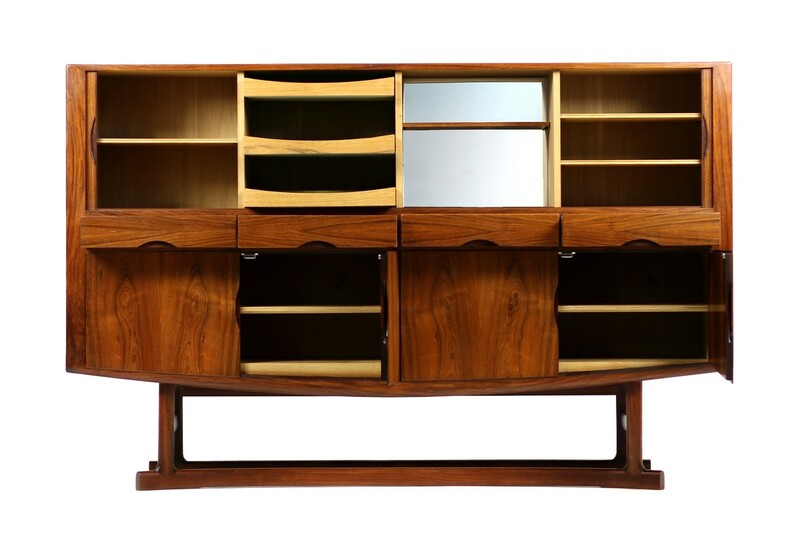 Hard to find a highboard, as it was limited in production in the 1960s. 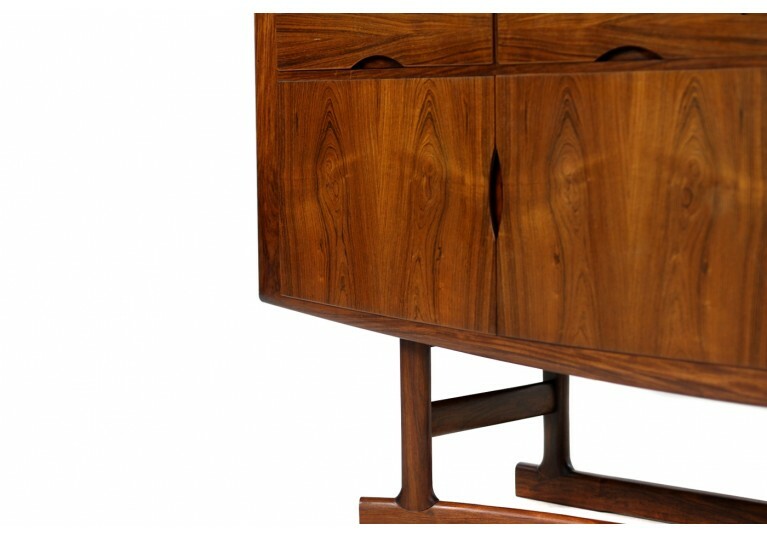 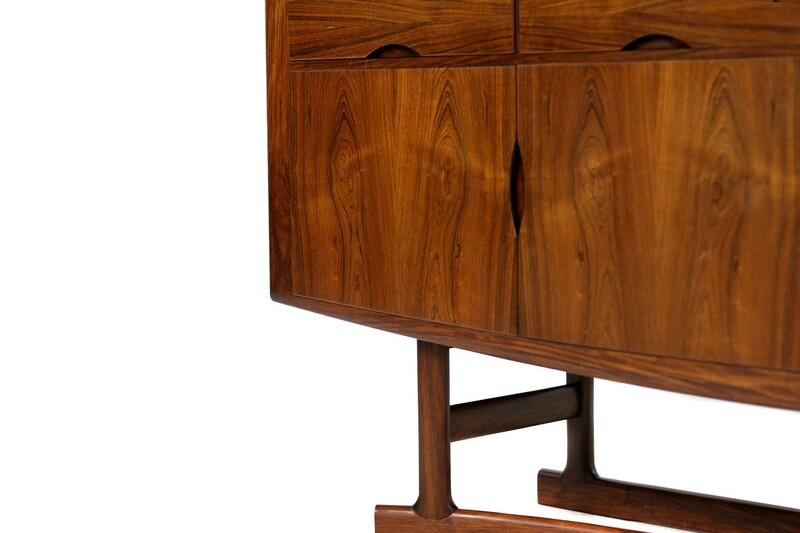 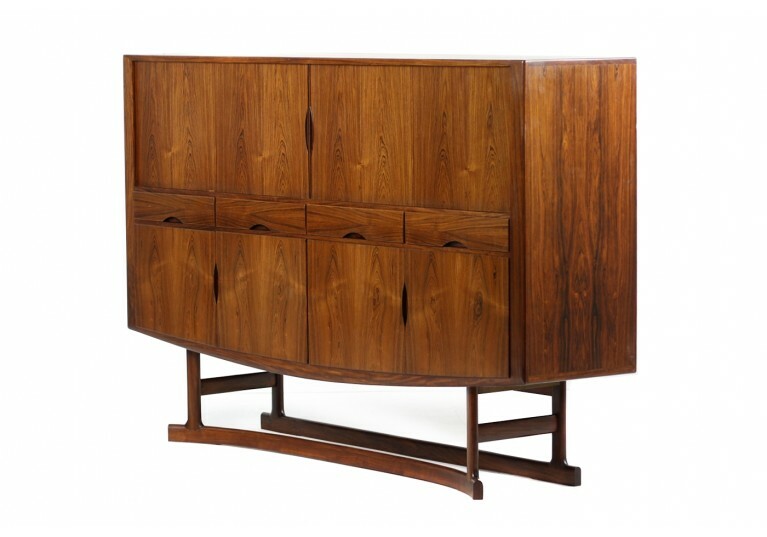 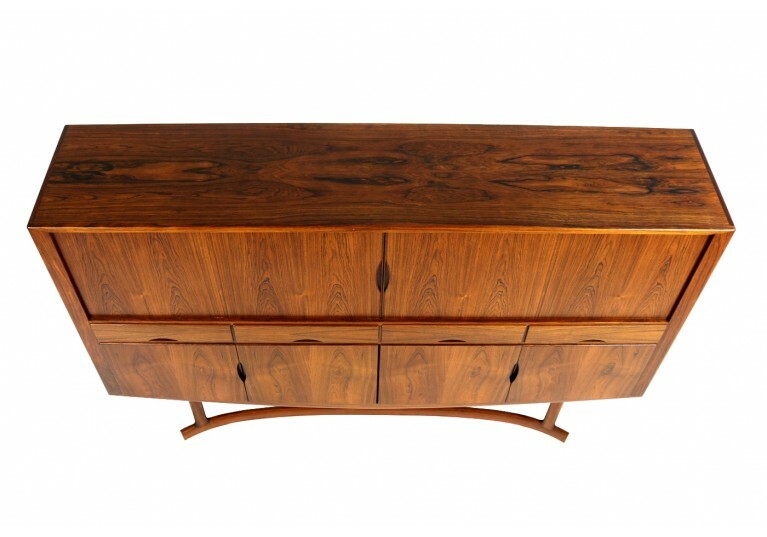 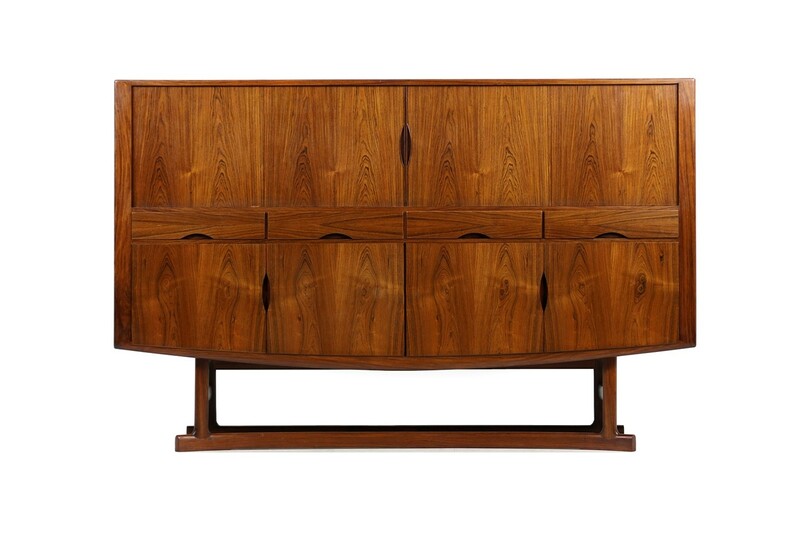 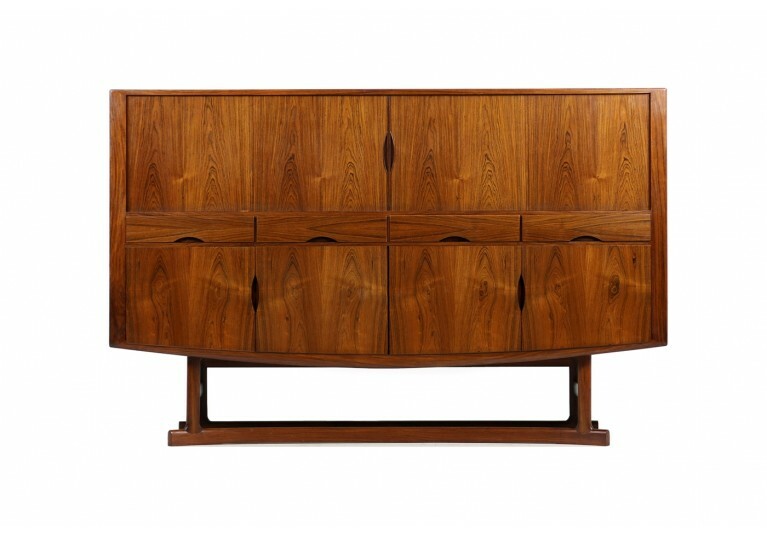 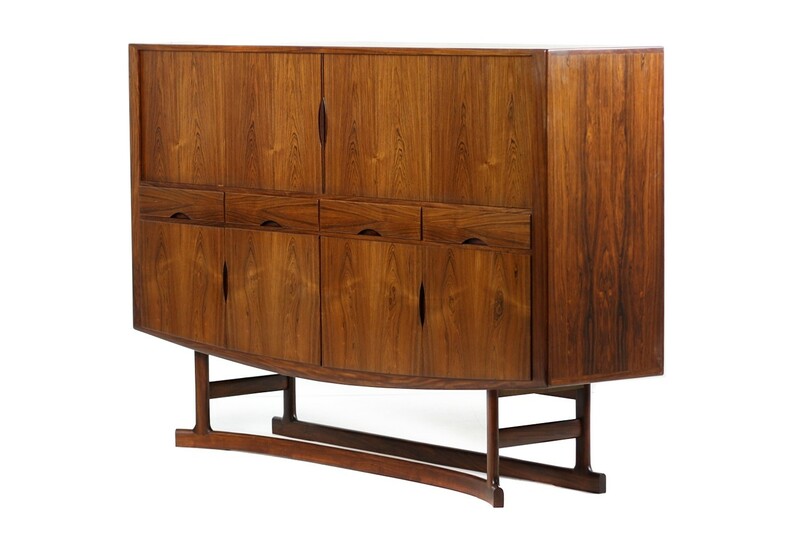 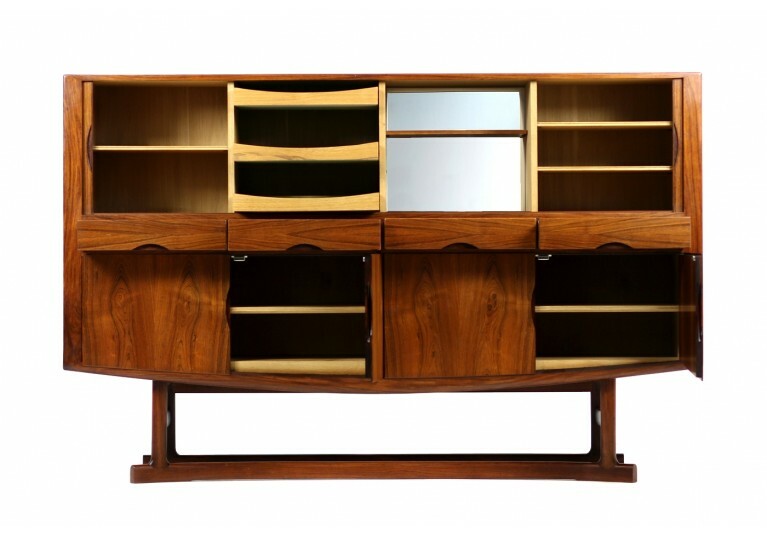 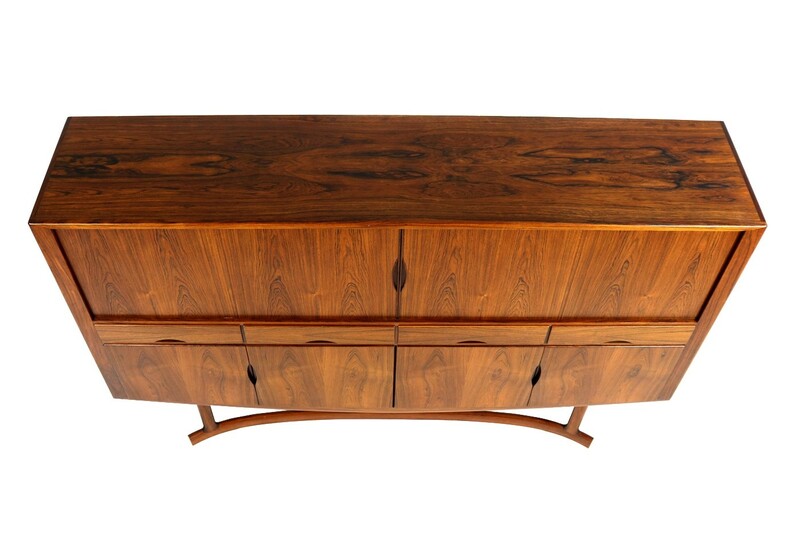 Fantastic rosewood, beautiful details, unique craftmanshiop, normal doors and sliding doors, several drawers, solid oak inside, brass hinges, organic solid wood base, double bottom in one of the drawers, mirrored bar behind the right sliding door. 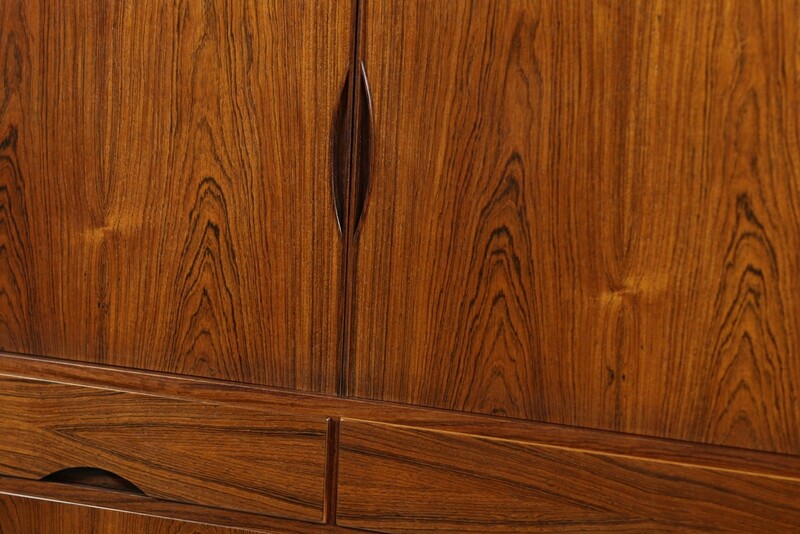 It's really an amazing high quality.